Suppose you are a homeowner and a stranger comes to your door asking you to put a great big ugly billboard in your front garden saying ’drive carefully’. How would you react? In all likelihood you would say no to the request. And indeed this is what most people said when asked the same question as part of a psychological experiment conducted by Jonathan Freedman and Scott Fraeser in the 1960s. When the researchers visited homeowners and asked them for their permission to erect the giant billboard in their garden, 83% refused. In other words, a mere 17% said yes to the idea. However, in a different setting a similar group of homeowners reacted very differently. When the same researchers showed them the same horrid billboard asking them (with the very same words) whether they could put it up, 76% consented. What could have been the reason for such a high rate of consent? The only difference between the two settings was that with the second group the same researcher had visited each house two weeks prior to the billboard question asking the owners to put up a tiny sign about driving safely. Naturally, almost everybody agreed to this reasonable request. But this seemingly small commitment made a big difference two weeks later when the researcher came back with the idea of the big billboard. Compared to the 17% ’yes’ rate in the first group, the proportion of ’yes’s’ went up to a staggering 76%, only because people had already consented to a similar but much smaller request two weeks earlier. 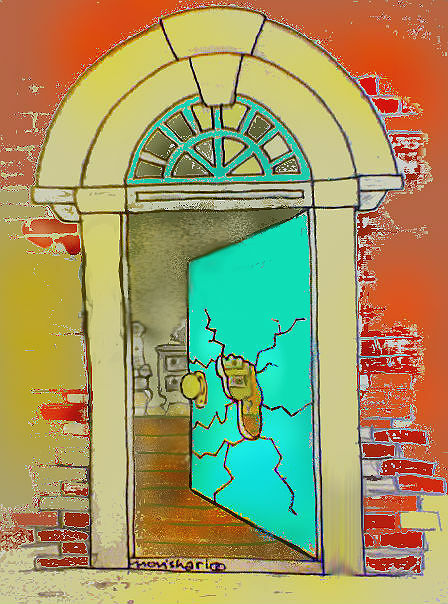 This phenomenon is commonly called the foot-in-the-door technique. It is based on the fact that somebody is much more likely to accept a proposal if they had already said yes to a similar (and possibly smaller and less risky) proposal in the past. So if you manage to sell the smaller version of your idea first, later you will be able to sell the big version of it much more easily. Because people are driven to be consistent in their actions, their decisions, their opinions. Psychologists call this tendency the ‘Rule of Consistency’. Once we have committed ourselves to an action, once we have taken a stand, we will go a long way to be consistent, to match our behaviour with the initial decision we made in the past. There is a good reason why we are all wired like this. Making all our decisions in the 100% rational way by weighing up all the arguments, all the pros and cons, would be very time consuming and inefficient. We can’t afford to do that all the time. There are way too many decisions to make in our lives. Therefore, we all use so called ’decision heuristics’ – in other words, shortcuts – to make decision making easier and quicker. And what could be a smarter shortcut than using our own past decisions as a guide to decide how to act here and now? Consistency is a valuable heuristic in decision making. Equally valuable is an awareness the Rule of Consistency when sell your ideas to the key stakeholders. Let’s revisit the story of the HR professional struggling to get approval for his or her great proposal. What could we do to successfully influence those stakeholders by drawing on the Rule of Consistency? How can you get one foot in the door? Approach the management with a smaller, more acceptable request first, especially if there is a history of HR proposals being rejected. When it comes to HR initiatives, ’smaller’ usually means one or more of the following: costing less money, involving fewer employees, taking fewer employee-working hours. So consider this: how could you create a smaller version for your project along these lines? Initiate pilot projects wherever you can. Make your stakeholders commit to the pilot projects first, when you can prove to them that your concept works. Once they have agreed to take the first small step, keep your stakeholders actively involved (without demanding too much of their time). The more active they are, the more committed to the concept they will become. Often it will be they who suggest taking the project to the next level. The foot-in-the-door technique works because it relies on that powerful decision-making heuristic, the Rule of Consistency. But always remember: it only works if the ’foot’ you put in first is an attractive one. If your foot turns out to be a bit stinky, nobody will want to let in the other foot later.